Welcome back to our case interview frameworks series, giving you a step by step approach to solve any case that’s set before you. If you haven’t read our first article yet, we encourage you to go back and read it before continuing. Case interview frameworks are used to open a case and to solve a case. 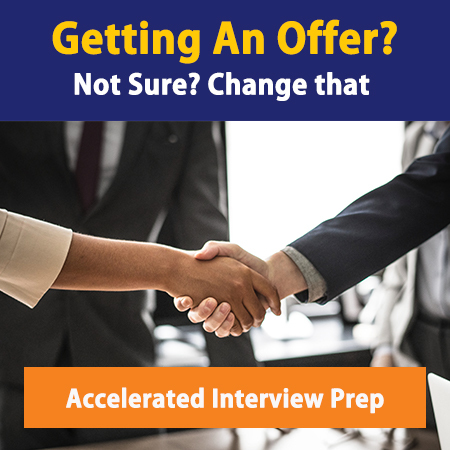 It’s very important that you think of both of these, opening and solving the case, because the frameworks are meant to be very practical, action-oriented, metrics-driven and clear as you walk through the the case process in your interview. This is one of the main issues that distinguish MBB winners vs. try-agains – the winners have a framework that would work on the job, not just in a classroom, and that will help not just get to the answer directly, but get there as fast as possible. In this installment, we’ll be taking some time to focus on the first framework to give you some tips on how to accurately apply them to the cases you’re presented with. 1) How many cars are there in California? In this question, the answer is the total number of units in the market. When they were sold is immaterial at this point. 2) How big is the car market in Mexico? With this type of question, there are two potential sub-questions that may show up. – How many cars were sold in Mexico last year? To figure this one out, you can either calculate the number of cars in Mexico last year and then take into account how many were replaced, or use a methodology that measures just car purchases. Whatever your final answer is, it has to measure in units. – What is the value of all the cars sold in Mexico last year? This sub-question requires one further step than the last. After figuring out how many cars were sold in one year, you then have to multiply this number either by prices in different segments or by an average price. The answer you give will be in the applicable currency amount of sales in a year. This type of question (the total annual revenue of a market) is the most common and implied definition of market sizing questions. 3) What is the opportunity if your client introduces a hybrid car into the Mexican market? In this scenario, the answer has to start first with one of the 2 previous options – an annual market size. Then, it reflects a percentage of total sales in units or currency amounts. In this case, you’re figuring out how many exist, how often they get replaced and what percentage of the replaced cars your client will be able to sell. This type of sizing is done by population segment or by household. When you do top-down sizing, you’ll base your hypothesis on something like a large overall number and then work your way down from there. There are many ways to segment a market, but the most common is by age. With bottom up sizing, you will identify a single micro-element of a larger population and dial the numbers up until you reach the appropriate scale. For example, if you wanted to figure out how many bags are lost at an airport, you’d figure out how many times it happens in one day, before multiplying that number by the number of days the airport is open, making the necessary adjustments for weekends and holidays, etc. Whether you use the top down or bottom up approach depends mostly on you – you can actually use either one to solve any problem. (Don’t believe me? Try it on the Mexican car market case and post your approaches in the comments below). Sometimes, however, one will be optimal for the question you’re presented with. For example, clients with physical locations may be more suited to a bottom-up approach (it’s easier to measure volume in one store on one day than perhaps to do the same market-wide). In general, though, most people find the population approach to be more user-friendly. To lay out a market sizing structure for your interviewer, it’s important to create a simple list. The list should be 3-5 steps long, and should include segmentation (customer segmentation is the most common). The 3-5 steps will all be data that you will gather, but you don’t need to lay out the data at the start. First, make them comfortable with your approach. Then, dive into the specifics of the data assumptions. Finally, complete the calculations. For both approaches, if price is applicable, it will be always be the last step. Just be aware the two different methods may produce different outcomes – and that’s okay. But in general, they should be close – or used to triangulate what an even more accurate answer could be. Don’t overcomplicate market sizing questions, but don’t oversimplify as well by guessing data randomly – a well-balanced approach should take you between 8-10 minutes. When you have your final answer, test it to make sure it’s reasonable and highlight the strategic implications it has for the client. We’ve taken you a long way on the road to solving any Market Sizing case that gets put in front of you. If you’d like more information on the case interview, you can buy our best-selling book on the topic, The Consulting Interview Bible. For a more immersive experience, check out our video course, the Case Interview Bootcamp – Online. Alternatively, if you would like some one-to-one coaching, grab interview prep sessions here.